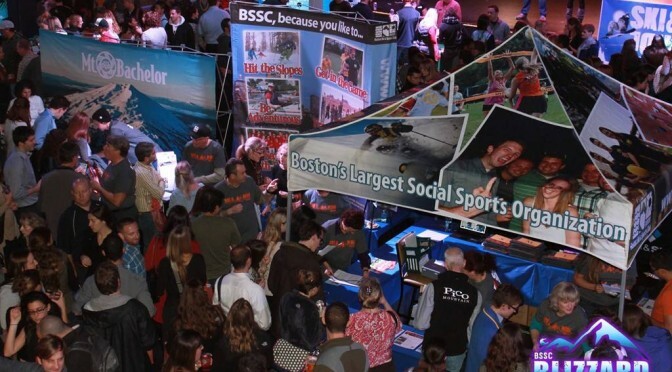 Boston, MA – It’s a snowstorm of free swag, ski trips, ski and ride gear, discounts and fun with fellow snow sports enthusiasts at 2015 Boston Ski & Sports Club’s (BSSC) BLIZZARD, set for this Wednesday, November 11 at Royale Boston. BSSC’s annual ski season kick-off party gathers hundreds of the city’s snow sports enthusiasts to celebrate the season in style with some of the country’s top ski resorts and thousands of dollars in prizes. BSSC will also be announcing its day trip and ski weekend schedule for 2016, featuring some of the best deals available to regional ski mountains. To sweeten the deal, special discounts on day trips, weekends and vacations will be available exclusively to BLIZZARD attendees. Door prizes will abound, including a pair of custom skis from Parlor Skis, a snowboard from Ramp Sports, lift tickets to resorts in New England and nationwide, and a one-year membership to BSSC. 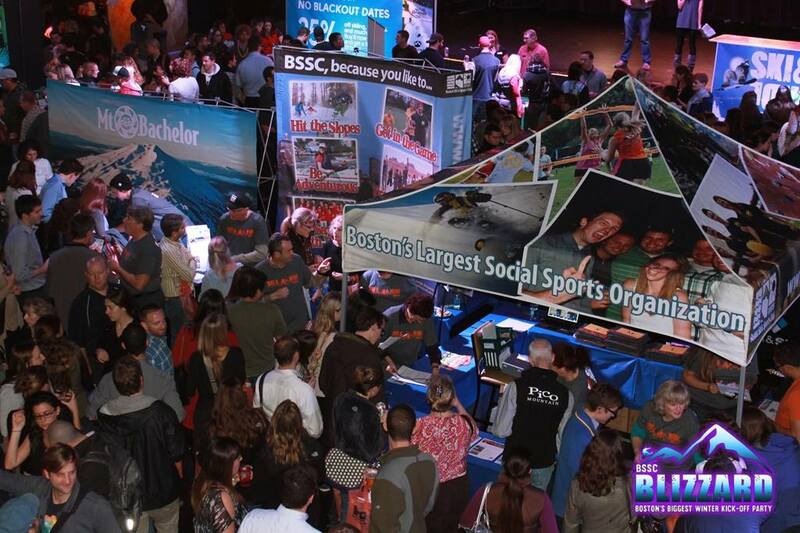 Exhibitors include Aspen Snowmass, Attitash, Stowe, Sugarloaf, Ramp Sports, Telluride, Sugarbush, Mt. Bachelor, Sunday River, Loon Mountain, Cannon Mountain, Gunstock, Bretton Woods, Wachusett Mountain, Killington, Jay Peak, Shawnee Peak, Parlor Skis, Polar Beverages, C2 Apparel, Sportody, Jackson Hole and Steamboat. The first 500 guests will receive goodie bags filled with lift tickets to Sugarbush, Vt. and Wachusett Mountain, Mass., swag, coupons and other prizes. BLIZZARD features après-ski appetizers and snow bars with shot skis, dancing, drink specials, raffles, more than 30 ski exhibitors and a DJ for a rockin’ party among other snow sports enthusiasts. The BLIZZARD will run from 6 to 9 p.m. at Royale Boston, located at 279 Tremont Street. Tickets cost $15, and BSSC members get a $5 discount. Groups of four pay $40. Tickets may be purchased online at the BSSC website.